October 30 marks three years since the pardon of the teacher Alberto Patishtan Gomez. In this case, an addition to the Federal Penal Code made his release possible. Today, Leonel Rivero is lawyer for Alejandro Diaz, Tzotzil indigenous, unjustly imprisoned in CEFERESO No. 15, Villa de Comatitlán near Tapachula. During the concentration, former prisoners, sympathizers of the Voice of Amate, demanded compliance with the memorandum of agreement of February 5, 2016, in which representatives of the State Government pledged to repair the damage caused by the unjust imprisonment and the streamlining of procedures to free Alejandro Diaz Santiz and Roberto Paciencia Cruz, both adherents to the Sixth Declaration of the Lacandon Jungle. Pedro Lopez Jimenez, one of the former prisoners, said representatives of the state government had then committed to achieving his release within a month regarding the release of Roberto Paciencia Cruz, and assured that the case of Alejandro Diaz Santiz would be analyzed and as a guarantee offered his immediate return to the prison located in San Cristobal. To date, no commitment has been fulfilled. On another note, Alejandro asked President Enrique Peña Nieto “to urge the Governor of Veracruz for my freedom that has been stolen for more than 17 years paying for a crime that I never committed.” Finally, he invited all national and international independent organizations to continue to demand justice and freedom for political prisoners and prisoners of conscience throughout the world. Tsotsil indigenous prisoner, Alejandro Díaz Sántiz, in solidarity with the Voz de Amate, member of the sixth declaration of the Lacandona Jungle of the EZLN, incarcerated in the CEFERESO No. 15 in Villa de Comatitlán, Chiapas. The bad governors that exist in our country and state live only by pure lies promising us support that is never fulfilled, especially the governor Manuel Velasco Coello. On his second visit to CERESO No. 15 in San Cristóbal de las Casas. When he freed all of my compañeros of the Voz de Amate on July 4th, 2013. I am the only one who wasn’t freed, under the pretext that my case is in another state, while he had promised to see my case or seek the means before the authorities of Veracruz to obtain my liberty—something that until now has not been fulfilled. Already three years have passed without any response, and this is why I am demanding the governor of Chiapas to fulfil his word. On the other hand, I am asking president Peña Nieto to urge the governor of Veracruz for my liberty that has been robbed from me for more than seventeen years, paying for a crime I didn’t commit. Lastly I invite all of the independent state, national, and international organizations to continue demanding true justice and liberty for all of the political prisoners and prisoners of conscious in all of the world. Together we can win true justice! Copy of the letter from Roberto Paciencia to Alejandro Diaz Santiz. Photo: @Koman Ilel. It should be remembered that Roberto Paciencia Cruz was imprisoned in August 2013 and has been in captivity since, although he has not been sentenced. Arrested without warrant and tortured in the following hours he recently became an adherent to the Sixth Declaration of the Lacandon Jungle of the Zapatista Army of National Liberation (EZLN). For his part, Alejandro Diaz Santiz was deprived of his freedom in 1999, “at the moment of his arrest he did not have a translator and he was accused of a crime he did not commit”, according to his attorney Lionel Rivero, as well as not having the economic resources for an adequate defence. Alejandro joined the Sixth and organized the prisoners’ collective “Sympathizers of the Voice of Amate” (Solidarios de la Voz del Amate). Nine months later, he was transferred to a maximum security prison even though his crime was not in federal jurisdiction, which was interpreted by the “No Estamos Todxs Workgroup” (GTNET) as “political revenge of the bad government against Alejandro, punished for supporting and raising awareness of the other prisoners and for refusing to be silent about the abuses against detained persons.” According to declarations of Alejandro’s relatives, he is isolated and has limited visits. Alejandro Díaz Santiz’s report. Photo: @Chiapas Denuncia. Unjustly imprisoned Alejandro Diaz Santiz, currently deprived of his liberty in federal prison No. 15 of Villa Comaltitlán, Tapachula, Chiapas, reported threats, abuse of power by the prison guards, as well as verbal and physical humiliation. In a letter, the adherent to the Sixth Declaration of the Lacandon Jungle of the Zapatista Army of National Liberation (EZLN) and member of the “Sympathizers of the Voice of Amate” group, stated that “in the prisons of our country and states prisoners in different prisons or CEFERESOS (Centers for Social reinsertion) suffer ill-treatment by the authorities”, giving the example that “many of my colleagues have been beaten for almost no reason.” In his letter he detailed the physical abuse inflicted on an inmate who is about 60 years old, completely naked, for having disposable cups in his cell. Diaz Santiz’s letter ended asking the President of the Republic to exhort his freedom from the governors of Veracruz, as well as demanding the governor of Chiapas, Manuel Velasco Coello, “to fulfill his promise in which he promised to see my case with the authorities of Veracruz “, which is almost three years without being fulfilled. It should be remembered that Alexander has spent more than 17 years in confinement for “a murder he did not commit”, and also “at the time of his arrest did not speak Spanish, he was tortured, never had access to a translator and did not have enough money for adequate legal defense”, according to Sympathizers of the Voice of Amate. In September last year he was transferred from a state prison to a maximum security prison, although the crime for which he is serving a sentence does not pertain to the federal jurisdiction, nor is he a high risk prisoner. ‘No Estamos Todos Working Group called this move “political revenge” for “supporting and raising awareness among other prisoners and for not being silent about the abuses of the prison authorities.” The resolution of an injunction that could release Diaz Santiz for partial remission of his sentence is currently impending. From the beginning of this year until May, the National Commission of Human Rights (CNDH) received more than 800 complaints about the operation of national prison system and detention centers, according to La Jornada. The same media source said that complaints are over “poor medical care, torture and ill-treatment, poor nutrition, insufficient labor and educational activities, lacking facilities and lack of hygiene.” They shall also noted that Chiapas is among the six states in which 80% of the complaints received are concentrated. 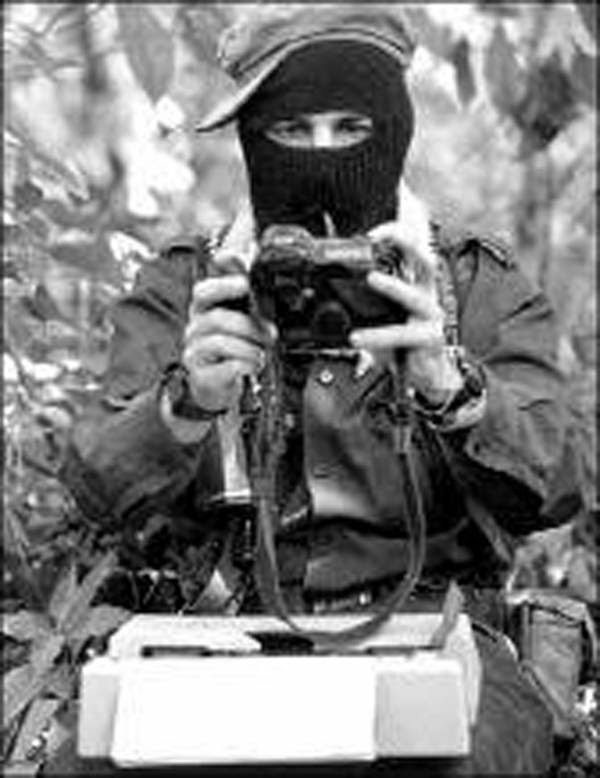 Unjustly imprisoned Roberto Paciencia Cruz, who is deprived of his liberty in the State Center for Social Reinsertion of the Sentenced (CERSS) Number 5 of San Cristobal de Las Casas, Chiapas, declared himself as an adherent to the Sixth Declaration of the Lacandon Jungle of the Zapatista Army of National Liberation (EZLN). A statement from the Working Group “No Estamos Todxs” (GTNET) recalled that Paciencia Cruz was arrested in early August 2013, he was held incommunicado for three days, “he was tortured, accused of a crime he did not commit” and later imprisoned. Inside the prison he met Alejandro Diaz Santiz, a member of the collective of prisoners in struggle “Sympathizers of the Voice of Amate”, imprisoned for 17 years and transferred in September 2015 to the maximum security prison of Villa Comaltitlán, Tapachula, Chiapas. Together they began to denounce“violations of human rights suffered by the prison population at the hands of prison authorities”. The statement also acknowledged the work of the prisoners of reporting abuses in prisons, demanding rights and raising awareness of the prison population. Relatives of Alejandro Díaz Santiz and Pedro López Jiménez, Sympathizer of The Voice of Amate. Photo: @Grupo de Trabajo “No Estamos Todxs”. On May 11, Alejandro Diaz Santiz marked 17 years deprived of his liberty. On this date the unjustly imprisoned man held a day of fasting to recall that he has spent half of his life locked up. Also, relatives of the adherent to the Sixth Declaration of the Lacandon Jungle of the Zapatista Army of National Liberation (EZLN), together with members of the Sympathizers of The Voice of Amate and of the Work Group “We Are Not All Here” (“No Estamos Todxs” – GTNET) held a press conference in front of San Cristobal de Las Casas Cathedral, Chiapas. The father of Diaz Santiz declared at the event that they hope to win a legal protection (amparo) in course, through which his son could be freed through partial remission of his sentence. For his part, Pedro Lopez Jimenez, Symapthizer of The Voice of Amate, added that they trust that the legal protection “has a favorable result because we have lived through many injustices, they have rejected us many times, and we hope that this time they work under justice and law.” For its part, the GTNET recalled that Alejandro was jailed “for being indigenous and poor”, that he was“arbitrarily arrested, tortured, tried and sentenced without adequate legal defense”, added to which at the time of his arrest he did not speak Spanish and had no translator. The Tsotsil indigenous is the last member of the Sympathizers of The Voice of Amate – an organization that denounces outrages, abuse of power and corruption in penitentiary centers – who is still in jail. Although the crime attributed to Diaz Santiz is not of federal jurisdiction, in September 2015, he was transferred to Villa Comaltitlan maximum security prison in Tapachula, Chiapas, as “political vengeance”, the GTNET stated. It should be remembered that the government promised to free Alejandro on a number of occasions, the last being on the signing of an agreement with the members of the Sympathizers of The Voice of Amate in February of this year. Nevertheless, his liberation has not taken place, so that last March more than 80 organizations demanded his immediate release. Antonio Diaz Velasco, Alejandro’s father, stated in the press conference that, in spite of the fact that his son’s visual health is deteriorating, he is not receiving medical attention in prison. “I saw that he is ill, his eyes are discolored, I asked him what was wrong, he said that they don’t give him medication, little food, beans and five tortillas.” He confirmed that the transfer is making family visits difficult because the distance from his community to the prison is long and they do not have the economic resources to pay for transport. Pedro Lopez Jimenez, member of the Supporters of the Voice Amate organization, added that they hope that “the authorities fulfill their promises and free Alejandro” as the State Government signed an agreement in February for the liberation of Diaz Santiz. For his part, Rivero pointed that Alejandro was subjected to an irregular trial, having “a bad or no defense” following his arrest. It should be recalled that Diaz Santiz is a Tsotsil indigenous who “at the time of his arrest did not speak Spanish, was tortured, never had access to an interpreter, and did not have enough money for an adequate legal defense”, the Work Group “No Estamos Todxs” (GTNET) statement said. According to the attorney, Alejandro would currently have the right to parole for partial remission of the sentence – a reduction of his sentence for good behaviour and participation in social reinsertion activities – for which a legal protection was lodged and is awaiting verdict. Lopez Jimenez announced that they expect the legal protection move to be successful and if it is not, they will continue with actions to demand the immediate release of their compañero. The release of Roberto Paciencia Cruz was also called for, unjustly imprisoned in the State Center for Social Reinsertion of Prisoners (CERSS) No. 5 at San Cristobal de Las Casas, and the San Bachajon prisoners at Amate CERSS, municipality of Cintalapa. Press conference for the release of Alejandro Diaz Santiz, December 2015. More than 70 organizations, collectives, networks, and individuals signed a statement demanding the release of Alejandro Diaz Santiz, who “has spent almost 17 years without seeing the open sky, locked up in different prisons in Veracruz and Chiapas.” The unjustly imprisoned 35-year-old Tsotsil indigenous was arrested in 1999, “accused of a murder he didn’t commit”. Moreover, he “didn’t speak Spanish at the time of his arrest, was tortured, never had access to an interpreter and didn’t have enough money for an adequate legal defence”, the statement claims. The prisoner, who is an adherent to the Sixth Declaration of the Lacandon Jungle of the Zapatista Army of National Liberation (EZLN), and a member of the prisoners’ collective Sympathizers of the Voice of Amate, has been organizing with others deprived of their freedom to denounce human rights violations inside the prisons and to seek justice in their cases. The members of the Sympathizers of the Voice of Amate have published many reports and organized actions, notably the 39-day hunger strike of 2011. It is worth remembering that this prisoner, unjustly denied his freedom, has been denouncing the irregularities, such as lack of food, denial of visits, as well as his unjust detention and imprisonment, at the State Centre for Social Reintegration of Prisoners No. 5 (Centro Estatal de Reinserción Social de Sentenciados – CERSS- n°5) of San Cristobal de Las Casas, Chiapas. Furthermore, referring to the case, the state government promised to “release [Paciencia] as soon as possible in a period of less than a month after February 5 of this year” at the negotiating table with ex-prisoners, members of the organization Supporters of the Voice of Amate (Solidarios de La Voz de Amate), who are claiming for damages for their years of unjust imprisonment, along with the release of prisoners of conscience such as Roberto Paciencia Cruz and Alejandro Diaz Santis. Former prisoners, family and friends of Alejandro Díaz Sántiz, indigenous Tzotzil prisoner in struggle, denounced the irregularities and abuses suffered in the case of the adherent to the Sixth Declaration of the Lacandon Jungle of the EZLN, detained in the Federal Social Rehabilitation Centre (CEFERESO) of Villa Comaltitlán, Chiapas. In the permanent assembly for the release of Díaz Sántiz, attendees complained about matters which attack the human rights of prisoners, such as the isolation to which he is subjected, with only one 10-minute phone call every 15 days and one 45-minute visit every 15 to 20 days, which, it is specified, can only be made by a direct blood relative or spouse. In addition, Díaz Sántiz, a member of those in Solidarity with the Voice of El Amate, is only allowed 30 minutes in the yard each day, which indicates that for the rest of the time he remains confined to his cell without access to pictures, reading or correspondence, pencil or paper. The assembly members accused Manuel Velasco Coello, Governor of Chiapas, of lying in his statement “Chiapas does not need a prison, but schools, hospitals and roads,” referring to the construction of CEFERESO, and they demanded the closure of “all the killing centres” like the prison. Alejandro Díaz Sántiz, aged 35, Tzotzil indigenous, has been in prison on a charge of homicide since 1999. At the time of his arrest, he did not speak Spanish and he never had access to a translator or a lawyer for his legal defence; he was tortured by prison officers. On 10th September, along with 400 prisoners, he was transferred to the CEFERESO, located in the south of the state of Chiapas. Event for the release of Alejandro Díaz Sántiz and Mumia Abu-Jamal. Photo: @Sipaz. On 7 November there was held in San Cristóbal de Las Casas an event for the release of political prisoners Alejandro Díaz Sántiz and Mumia Abu-Jamal. The event was organized by the “We Are Not All Present” Work Group (GTNET), together with the participation of relatives of prisoners who organize to affirm their rights in different Chiapas-state penitentiaries. At the event, there was read several communiques and an art-making activity was installed to express support for the liberation of both prisoners. Mumia Abu-Jamal is a U.S. journalist and former member of the Black Panther Party. He was incarcerated in 1982, accused of having murdered a police officer, though there is no evidence for this, and indeed there is testimony from witnesses who have come forward to declare that they were pressured into holding him responsible for the killing. Mumia was condemned by the judge “who is known to have condemned more Blacks to death than any other judge in the U.S.,” according to Nodo 50, in a country gripped by racism. During his 33 years in prison, Mumia has written nine books and produced more than 2,000 radio addresses. In March of this year, Mumia suffered serious health problems that were caused by a diabetic crisis, as the administration had denied him the necessary medical treatment. At present, he is slowly recovering.